You became a highly technical expert. You found that your expertise was critical to your success. The geekier you got, the more you got paid. But it was too late. Now what? You’re supposed to figure out the people stuff? When human behavior enters the equation, things go nonlinear. That’s why physics is easy and sociology is hard. And he’s exactly right. But there is hope. I started my career as a geek – a hands on technologist who bought my fist computer with money I saved up on my paper route. 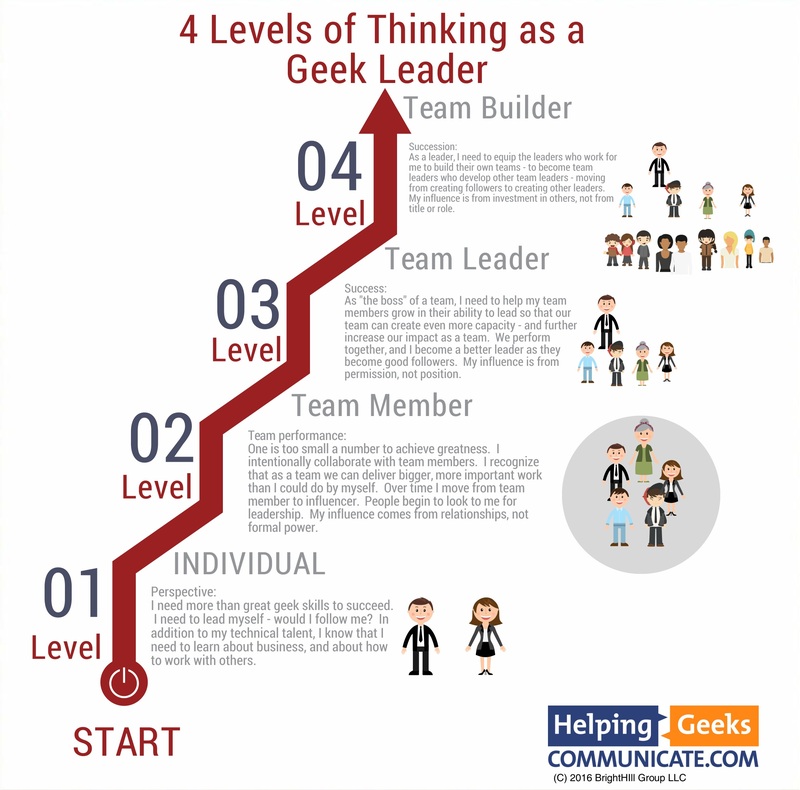 I worked in startups and in Fortune 500 companies – and I learned the secrets to being able to lead people – as a geek, leading geeks. 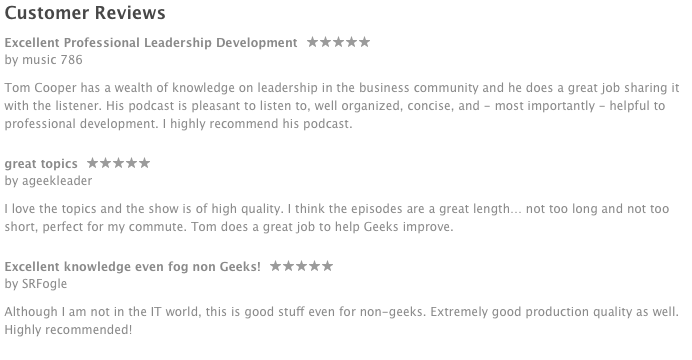 I need more than great geek skills to succeed. I need to lead myself – would I follow me? In addition to my technical talent, I know that I need to learn about business, and about how to work with others. One is too small a number to achieve greatness. I need team members to want to help me so that together we can deliver bigger, more important work than I could do by myself. My influence comes from relationships, not formal power. As “the boss” of a team, I need to help my team members grow in their ability to lead so that our team can create even more capacity – and further increase our impact as a team. We perform together, and I become a better leader as they become good followers. My influence is from permission, not position. As a leader, I need to equip the leaders who work for me to build their own teams – to become team leaders who develop other team leaders – moving from creating followers to creating other leaders. My influence is from investment in others, not from title or role. 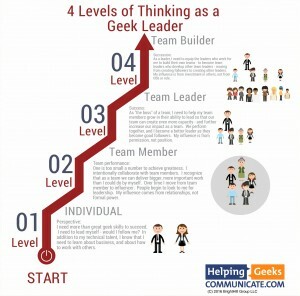 What level is your thinking today? What level do you need to reach tomorrow?